Home / SuperSerials / Tech Makoda / WildCat International / Vidya Balan, Manav Kaul, Neha Dhupia, RJ Malishka spotted at Atul Kasbekar's Dinner party! Vidya Balan, Manav Kaul, Neha Dhupia, RJ Malishka spotted at Atul Kasbekar's Dinner party! 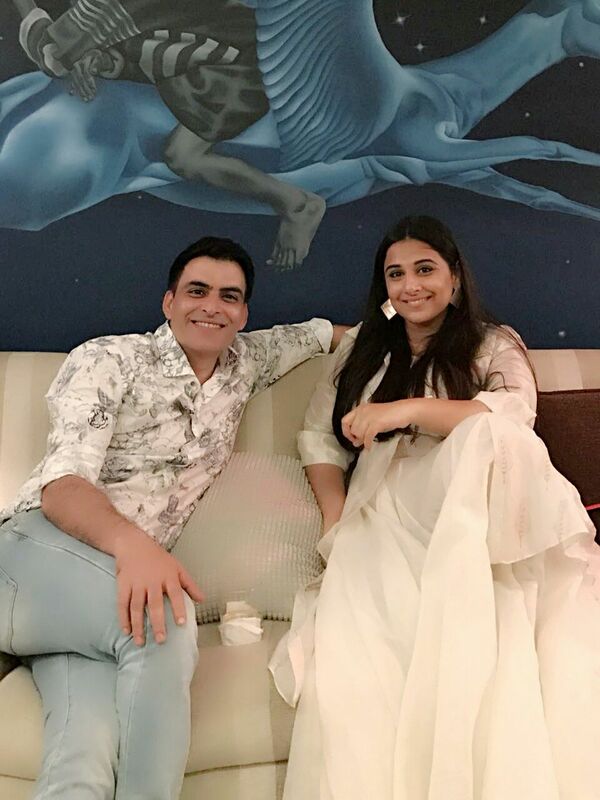 The onscreen duo of the forthcoming family feature film, Vidya Balan and Manav Kaul were spotted chilling at Atul Kasbekar's dinner party. The co stars RJ Malishka and Neha Dhupia were too seen posing for a selfie along with Vidya Balan. The co stars have taken over Instagram to share quite a few pictures of their joyful journey all throughout the shoots of Tumhari Sulu which marks the sweet bond that the cast shares. RJ Malisha who makes her first bollywood debut with Tumhari Sulu is surely going to charm the audience with that smile.